I am currently working on improving this section of my website. I hope to have the story of the life (and death) of my Ulysses written soon. For now, please enjoy the pictures, check out my Ulysses modifications below, and read my Adventure Bike Comparison page. Click each headline for more info! 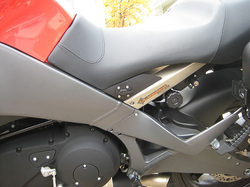 I added a flush mount 'Battery Tender' style plug. 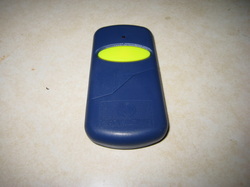 This hardwired (through a fuse) straight to the battery, for use with a Battery Tender or heated vest. 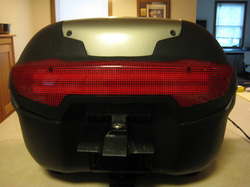 I wired LED tail and brake lights into the rear reflector, as well as internal LEDs with a switch. I created a box with 5 relays, 4 fuses, a circuit breaker, and a bunch of internal wiring in order to manage all of my electrical additions. Click the picture or headline for the details! 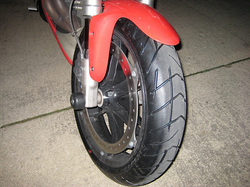 I installed a set of new tires and documented them here. The Scorpion Trail tires were a brand new model when I bought them, so I kept up to date with my mileage and life for everyone who was interested in them. 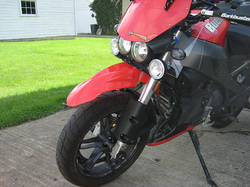 I swapped out the street fender that came with my XT, for a rear X fender, and upper Acerbis Supermoto fender. The fender is mounted to my fog light bar. Also on the fog light bar... two HID powered fog lights. 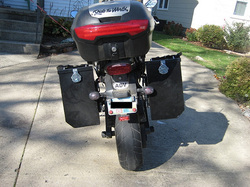 I added aluminum panniers to my factory luggage racks. I like them substantially more than the clamshell plastic boxes that came from the factory. 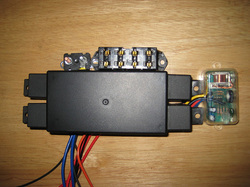 I hardwired a garage door opener into the bike. 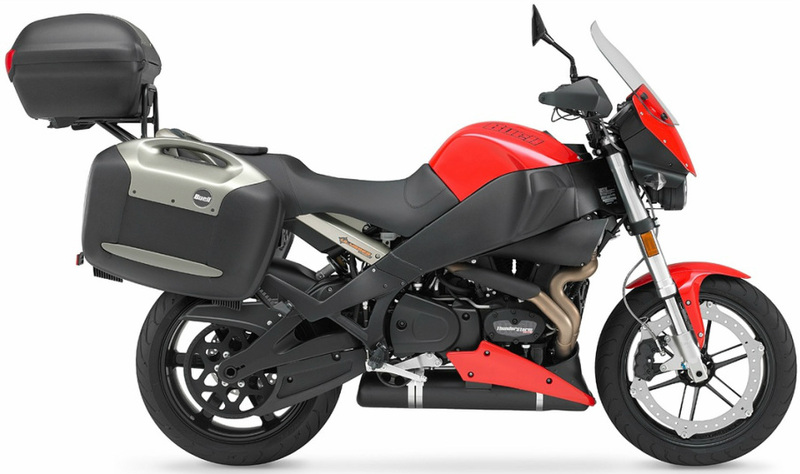 They make motorcycle specific ones that are plug and play, but mine was less than fifteen dollars. I added an easily removable fuel cell to my Ulysses to aid in solo touring. 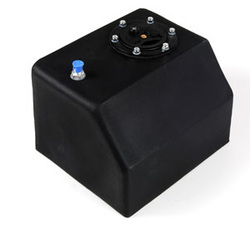 The range of the factory gas tank was simply not going to work for me.